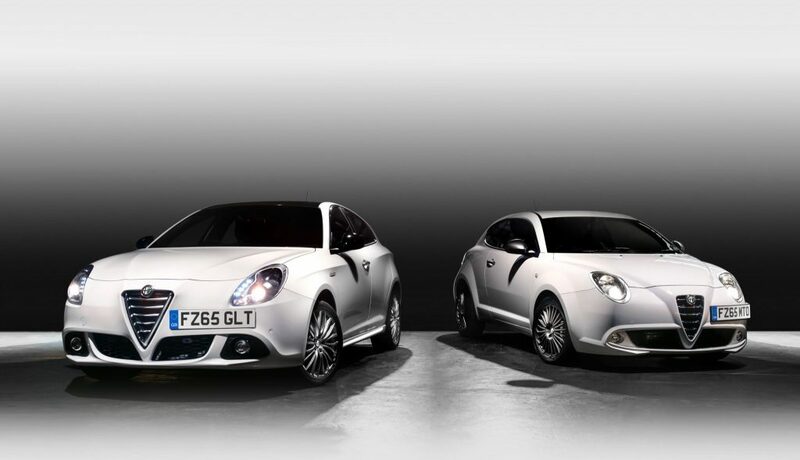 The Alfa Romeo MiTo and Alfa Romeo Giulietta ranges have both been enhanced by new trim levels. A new Collezione specification is available in both the Alfa Romeo MiTo and Giulietta models, while a new Sprint Speciale version joins the Alfa Romeo Giulietta range. The Collezione versions are the new luxury flagships of their respective ranges, offering a more luxurious and elegant specification than the sporty QV Line models. In the case of the Alfa Romeo MiTo Collezione, standard equipment includes 17-inch ‘Collezione Bronze’ alloy wheels with matching bronze-effect door mirrors and satin-effect headlight and tail light surrounds. The Alfa Romeo Giulietta Collezione builds on high specification of the Exclusive trim level but stands out even further from the crowd thanks to its signature gloss-black painted roof with matching door mirrors, front and rear parking sensors and unique, dark-finish, 18-inch multi-spoke alloy wheels. Inside, the seats are trimmed in bespoke ‘Collezione’ leather with heating on the front seats and the luxurious ambience is complimented by a 6.5-inch Uconnect™ NAV system with advanced voice operated satellite navigation with 3D mapping and DAB digital radio as standard. Amid all this luxury, Alfa Romeo hasn’t forgotten its cuore sportivo, however: A new Alfa Romeo Giulietta Sprint Speciale also joins the range, building on the specification of the Sprint model to offer ever more performance-oriented equipment. The Sprint Speciale adds sports suspension, 17-inch sports alloy wheels, Brembo brakes, aluminium pedals and Quadrifoglio-style sports seats as standard, along with dual-zone climate control, rear parking sensors, special silver dashboard trim, the ‘Visibility Pack’ and cruise control.